After 2 years, I have now moved my blog to a space on Google’s Blogspot. This has been a plan in the pipeline for some time now, hence the few updates to the blog for the past couple of months. I have been slowly moving my posts to the new blog, but it is turning out to be a long process! So, in order not to keep you waiting for new posts, I will be posting at Paper N Pearlz, while still migrating my data. Please do continue reading my posts and continue commenting on anything you find interesting 🙂 See you there! The 8 Pointed Star will be a sure addition to my Christmas tree! 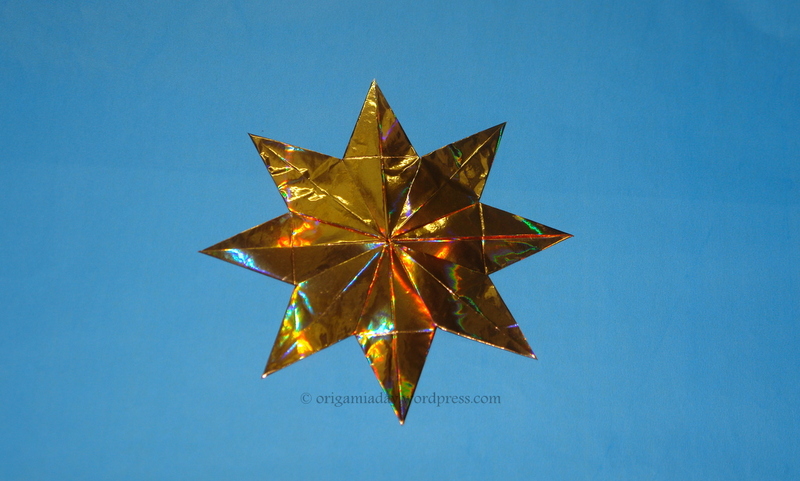 The star is made from a single square of paper and isn’t very difficult to make. 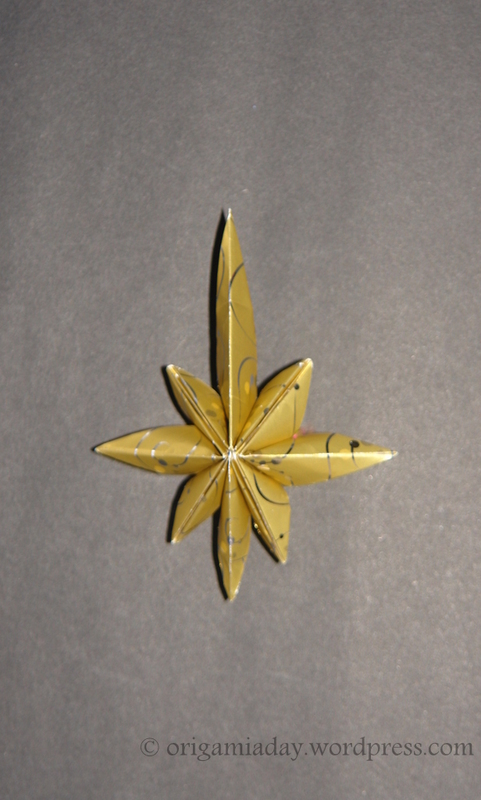 I tried making the star using thin gold paper and thicker wrapper paper. In both cases, the star turned out quite well. 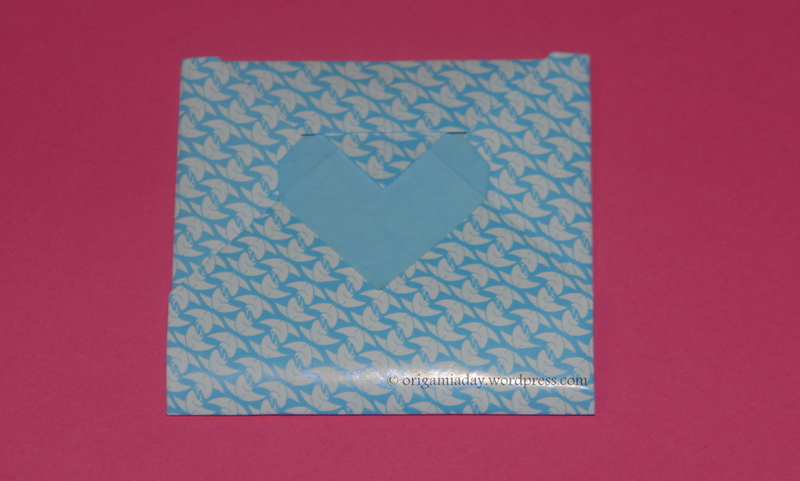 The Star of Bethlehem was the first origami that I tried from the book ‘Christmas Origami‘. The book is authored by John Montroll and has quite a collection of origami for Christmas, all of them made from a single sheet of paper. The Star of Bethlehem was not very difficult to make, though I am not sure of how to make the arms stand right, without glueing the corners. 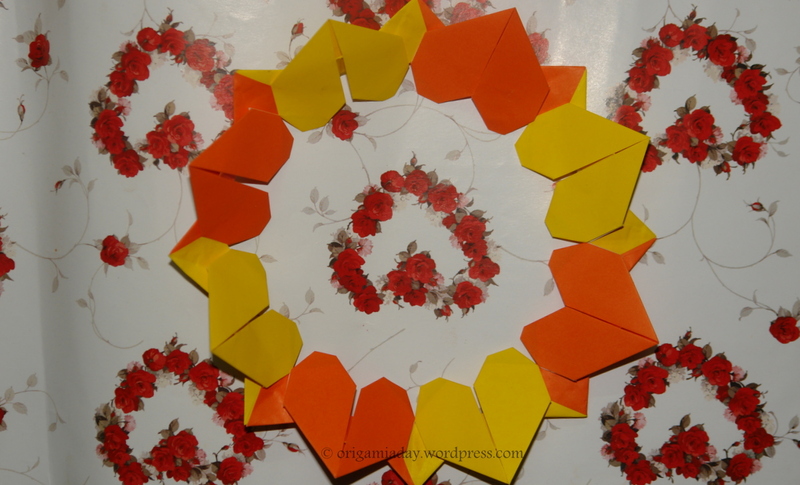 I am making the 8-pointed star next and hope that it will come out better than this one did. 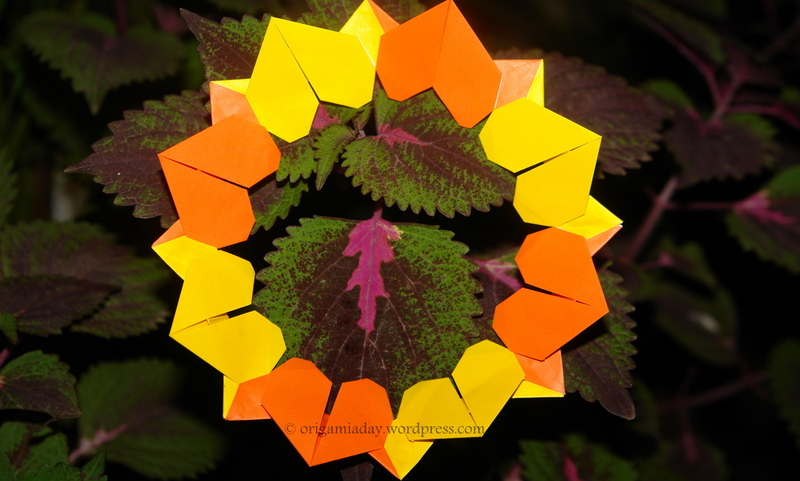 The little roses kusudama is a modular origami from 30 units, designed by Maria Sinayskaya. I have been trying to complete this for quite some time now and finally did complete it. 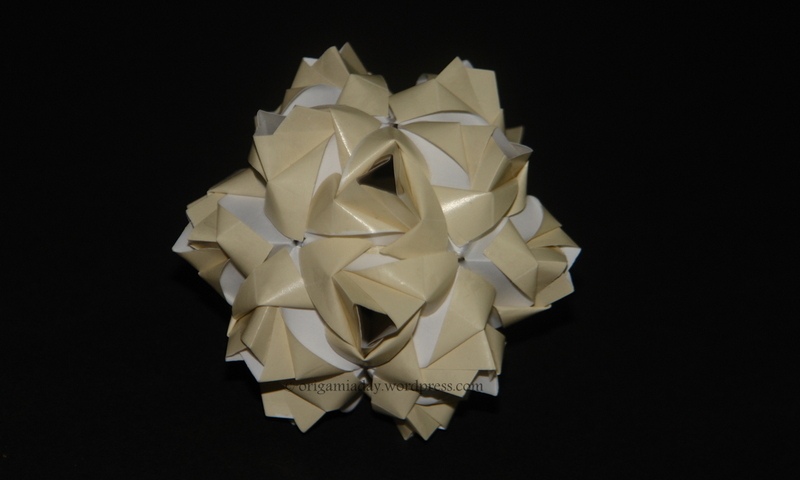 There are quite a few variations of this kusudama. What I have done is the first of these kusudamas. The modules are quite simple to make. Assembly is like a 30-unit sonobe. 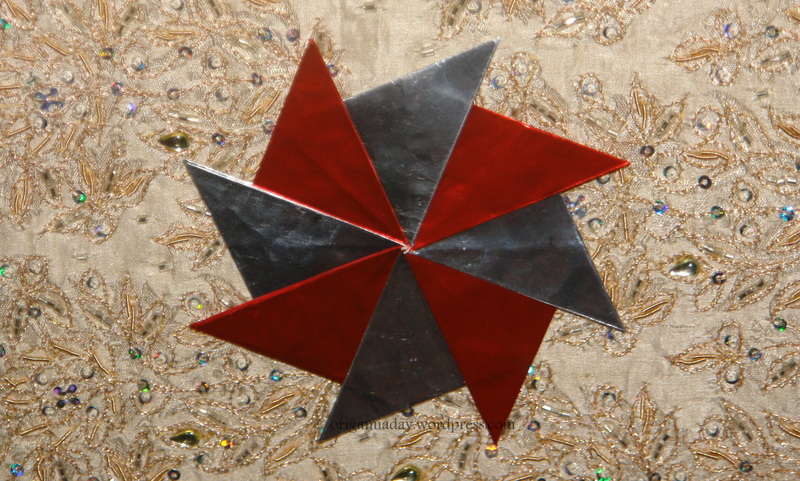 The Septima Star is designed by Lukasheva Ekaterina. 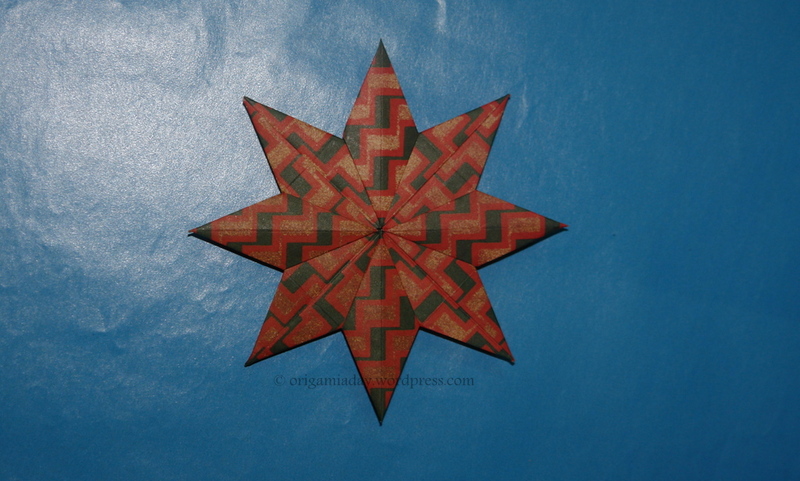 The star can be made from 5, 6, 7 or 8 units. 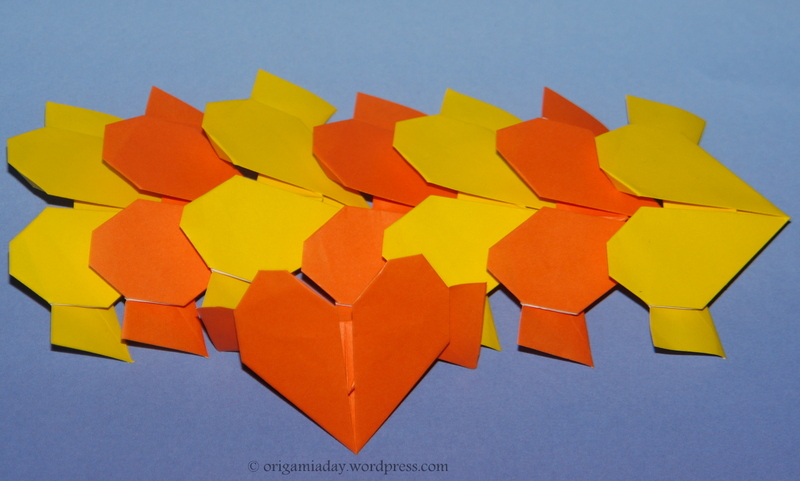 Depending on the number of units, the star either lies flat or has a 3D structure. 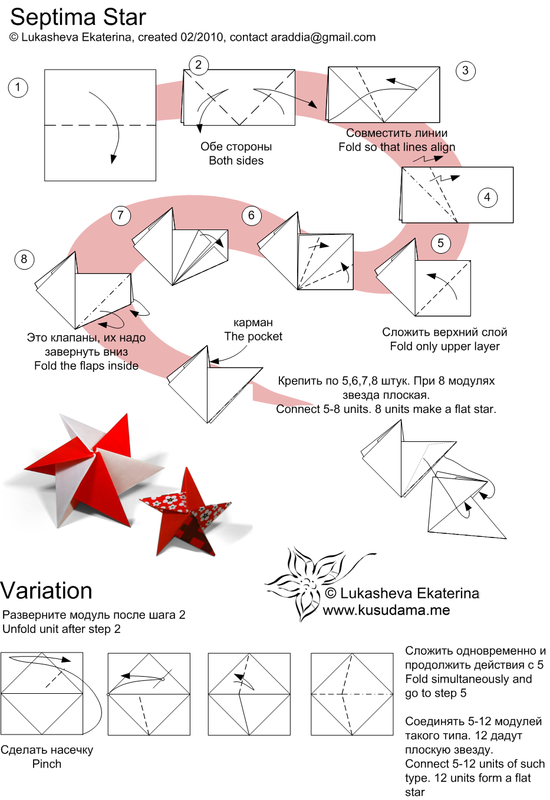 The star looks best when made from 6 units, if the idea is to hang it from a tree. 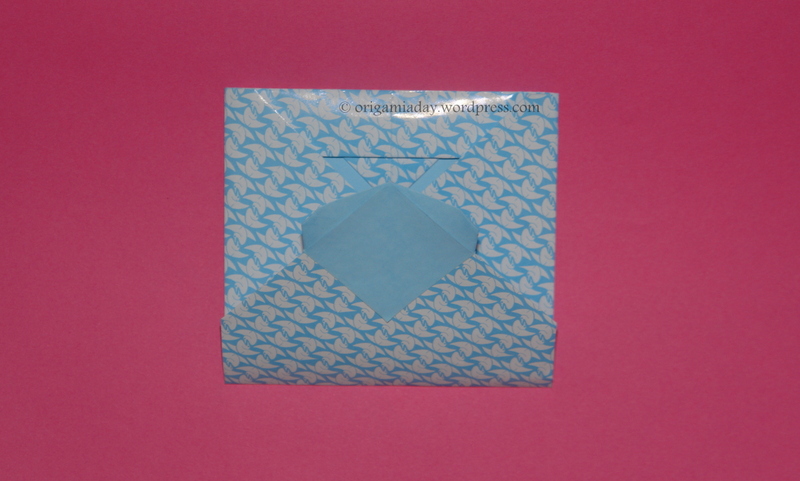 But I think the flaps will have to be glued down, as they tend to pop out. The 8 module one lies flat and should look great if taped to a wall. 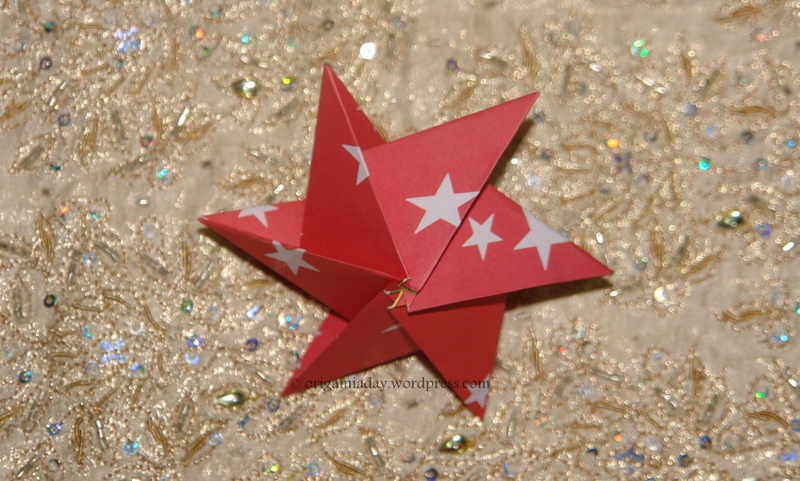 Foil paper or gold/silver paper would add a lot more cheer to the star!